Human Resources | F.H. Black & Company CPA Inc. It's your business. Create the work environment you've always wanted. The most significant asset for your business is your people. Many small to mid-sized businesses find key HR functions to be a challenge when they don’t have a team in-house. Having and retaining the right people makes all the difference to your overall operations. Our HR specialists are the go-to experts, serving as an extension of your leadership team. We’ll work with you to ensure you hire the right talent and manage employees effectively. Finding the right employee for the job has never been more important than it is right now. Hiring superstars is critical to your businesses success. From receptionist to CEO, every employee you bring on board directly impacts your businesses profitability, customer satisfaction and retention, and long-term growth. Our HR professionals help client’s source candidates for even the most difficult-to-fill positions. We believe in fair recruiting fees, replacement guarantees, testing, and due diligence to mitigate hiring risk. Performance reviews should be interactive, engaging and even fun! Ditch the one way street review process and let us show you how to turn performance reviews into increased profitability. Your people are everything when it comes to creating a workplace culture that fosters respect, professionalism, creativity and problem-solving. We can help you understand your people and current environment, and develop a plan to transform your culture into one that builds morale and promotes long-term retention. Staying abreast of current labour laws, legislative changes and employment standards can be a difficult and time consuming process. HR policies and employee handbooks are key documents that every business must have. It’s essential that employees understand workplace guidelines and practices that are written clearly and concisely, leaving no room for grey area when it comes to workplace conduct. Proper guidelines protect employees and business owners, ensuring compliance with ever-changing labour laws. Many employers don’t realize they are required by law to have a harassment policy in place. In today’s workplace climate, where respecting personal boundaries is paramount, it’s more important than ever to have a partner who keeps your policies up to date. Handshake deals are all well and good until memories fade and “things change”. Instead of relying on he said/she said agreements, a concise, custom employment agreement allows you to quickly and easily provide a polished employment offer to prospective hires you hope will join your team. We create employment agreements to mitigate risk and have all parties on the same page right from day 1. Determining the appropriate level of compensation to offer employees based on your businesses size can be challenging. Our team can assist you in developing a compensation and benefits package that meets the needs of your business, while helping you attract and retain the right people. A strategic onboarding plan is critical for long term employee retention. Statistical evidence proves that there are certain “firsts” in an employee’s career that are key to whether they stay with you long term or move on. You’ve spent the time, the money and the resources to onboard your superstars – now let’s keep them! Our HR team can share our trade secrets to help you retain those hard to find top performers. As a business owner, your people are a valuable asset, but managing them comes with risk. Terminations can be emotional, stressful and must be executed in a way that is consistent with labour laws and employment standards legislation. An arm’s length HR professional can take the pain out of this process and help all parties move forward with positivity. Managed with sensitivity, integrity and with legal requirements and obligations in mind, our HR professionals assist clients in handling these difficult situations with professionalism and structure. We spend more time at work now than ever before, therefore it’s not surprising that conflict between colleagues arises. Stay out of the unproductive drama and spend your time doing what you do best – managing and developing your business. Our conflict resolution professionals enjoy working with teams to bring them together, especially where conflict is rampant. Unionized work environments have their own sets of rules that add an extra layer of complexity when dealing with employees. Our HR team provides mediation services for union negotiations, including collective bargaining agreements, disciplinary actions and any other union-related disputes that require an objective third-party. We also provide non-union labour relations to resolve workplace issues between employees or between employers and their employees. Our client, the owner of a leading Private Wealth Management practice in Manitoba, had spent ten years searching for the right people to join his growing business. FHB got the job done in just eight weeks. Working long hours for decades as his practice grew and thrived, our client needed to reduce his working hours to a more “normal” schedule, but he was determined to continue to provide the superior service and quality financial advice he was known for. At the end of his rope, he turned to FHB to recruit two qualified and licensed Financial Planning Associates in “as short a time as possible.” To complicate matters, with very short notice our client’s pivotal executive assistant decided to retire. So FHB was tasked with filling three high-level, highly-skilled financial positions — immediately! We do love a challenge. The financial management sector is a highly competitive market for talent. The type of candidates our client was seeking are difficult to find and they’re aggressively sought after by recruiters and employers. And our client was very picky. He wasn’t just looking for good people, he was looking for the right people — those who could help him step back and possibly even take an ownership interest in his successful business. It was clear to us that a specific and detailed executive search was required. 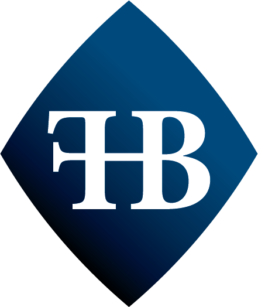 FHB was able to quickly source several excellent candidates through our customized executive search process. We provided our client with candidate test results, compensation analysis and proposals as well as detailed reference checks. Within just eight weeks we were able to put in place a win/win scenario — three great new team members who would provide immediate support for our client along with long-term potential for ownership and succession. And we guarantee our hires so our client also had the comfort of knowing that we stood behind our placements every step of the way.